Cherry Mobile, along with their new Brand Ambassador Robin Padilla, recently announced two new rugged additions to their dual standby line of mobile phones. As part of their second year anniversary celebration, they’ve launched the R9 Tough QWERTY bar and the R7 Vigor T9 bar shockproof phones. Both are designed to be as tough as the new spokesperson, and as is usual with Cherry Mobile’s offerings, designed to be affordable to the masses. 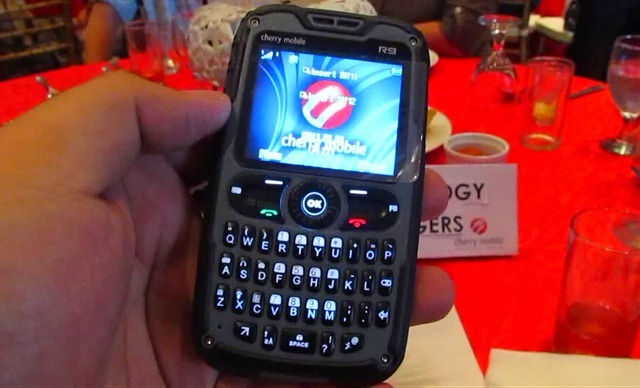 The R9 Tough is a QWERTY bar phone that offers popular multimedia capabilities like an FM Radio, Multimedia Player, Loudspeaker, 2MP Camera, JAVA support, and built-in games. You can transfer files with Bluetooth or through the MicroSD slot, which supports memory cards up to 4GB. There’s also a slew of GPRS services like Twitter, Facebook and Yahoo – and Cherry’s own Cherry Zone, Cherry Mail and Cherry Messenger. The phone can withstand drops from up to 1.5 meters in height and is splash resistant for rugged use. The device comes in green, black, gray, red, blue and yellow and will retail for PHP 2,399. For a quick tour around the phone you can check out it’s video below. The R7 Vigor brings most of the same features of its QWERTY counterpart, with a more slim and pocket-friendly T9 bar form factor. Features include an FM Radio, loudspeaker, Multimedia Player, built in games, 1.3MP Camera, Bluetooth, and flashlight. The phone supports MicroSD cards up to 4GB and is also built to be shockproof against drops from up to 1.5 meters high. It will be available in green, black, gray, red, blue and yellow for PHP 1,999. To see more, check out the video below. Both phones of course have dual-SIM and dual standby capabilities so they can serve to keep users in touch with friends and family through multiple telephone companies. 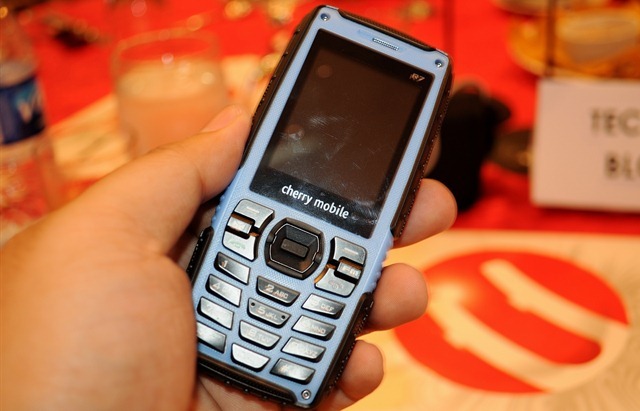 Plus, Robin Padilla even showcased its tough exterior by throwing the phone around and proving that it can take a hit. You can also see this done by one of their executives in this video below. At a price point of PHP 2,399 (R9 Tough) and PHP 1,999 (R7 Vigor), these devices look like they could be the phone of choice for outgoing or rugged individuals. One can definitely see oneself taking these through rough treks or have it on them as active individuals like Mr. Robin Padilla – while still being able to keep in touch with the dual SIM capability. If you’re on the lookout for a phone that can withstand a rough lifestyle, then you can check out these two devices soon at your nearest Cherry Mobile retailer. For more pictures and product images, check out the gallery below. Is it waterproof as well? Hi, unfortunately they’re not fully waterproof but they are splashproof to a certain extent. Good for accidental water splashes but not for submerging. The flashlights are LED torch type so they’re plenty bright if you need it. Hope that helps!